This is part one of a mini-series about working with IBM MQ as a Zato and Python user. This installment will cover installation and configuration whereas the next one will delve into programming tasks. 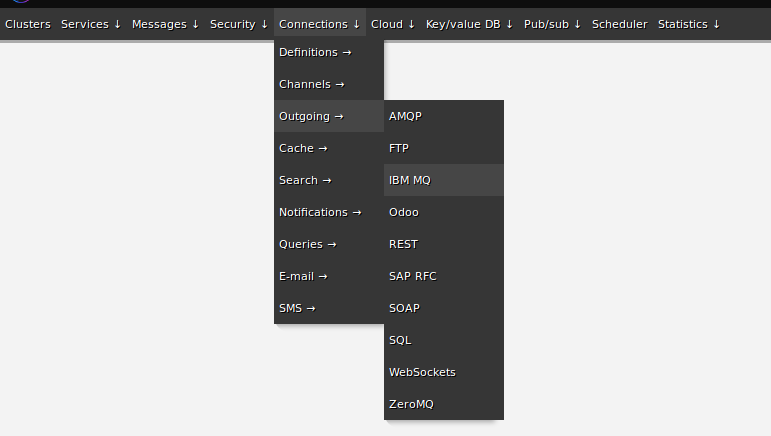 Zato is a Python-based multi-protocol API integration platform, message broker and backend application server and IBM MQ is one of the protocols and products that it supports out of the box, making it possible to integrate with IBM MQ systems, including JMS ones, using little or no programming at all. This is what the article will include. 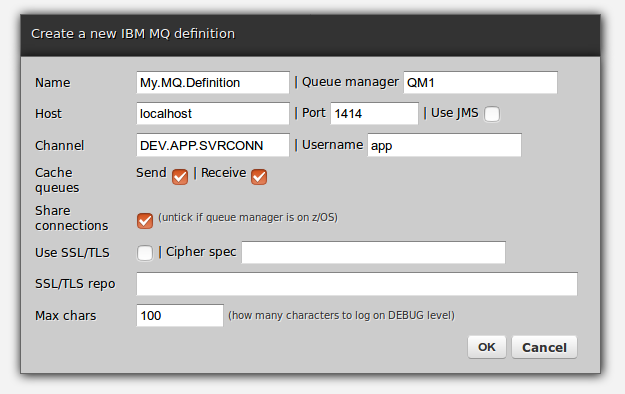 The end result will be a working Zato-IBM MQ installation, capable of both receiving and sending messages from IBM MQ queue managers. The first step is to install a Zato package. To work with IBM MQ, you can choose any of the systems supported by Zato. Ubuntu will be used here but everything works the same no matter if it is Ubuntu, RHEL or any other OS. Next, you need to create a Zato environment. The easiest way is to use a quickstart cluster which sets up a working Zato cluster in one command. To make it possible to connect to queue managers via TCP, it is required to install a software package called an IBM MQ Client. This package contains runtime libraries that let applications, such as Zato, to use TCP connections with IBM MQ. A connection definition is a reusable piece of configuration, a common set of information that can be used in more than one place, in this context, it allows one to create both incoming MQ connections (Zato channels) and outgoing ones. Note that Zato channels share the name with MQ channels but they are an unrelated concept, only distantly similar. Create a definition by filling out the form as below. You need to change the connection's password because by default it is a randomly generated one that cannot be used. Afterwards, you can click Ping to confirm that connections to your remote queue manager work correctly. 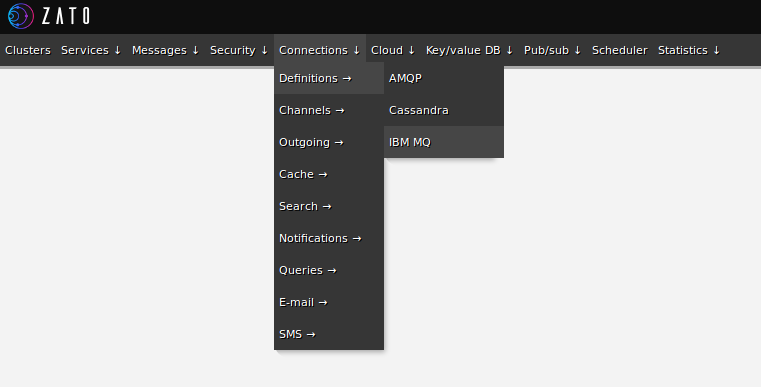 Any user-defined service in the channel can be used, but below, just for illustration purposes, a built-in service called helpers.ibm-mq-logger is employed. This is a convenience service that simply saves to Zato server logs all the information about each message taken off a queue, including the message's data and metadata, such as headers and MQMD. If you do not have access to MQ command line, you can simply create an outgoing connection in Zato and use the Send message form in web-admin to send a message that will be received by a channel. It is not shown here but it would work just as fine. This is it. Your Zato installation is configured to send and accept IBM MQ-originating messages and, in the next part, Python services will be used to actually process the messages in a useful manner, e.g. by enriching their contents and sending them out to other applications. For more information - visit the main documentation site or go straight to the tutorial and stay tuned for the next article.